Rosemarie Lavin Design�s Halloween themed collection is here to help with all of your preparations for a truly spooktacular evening. Create seasonal home d�cor using fabric that combines all of your scary holiday favorites from skulls and crows to pumpkins, gothic prints and classic Halloween phrases. 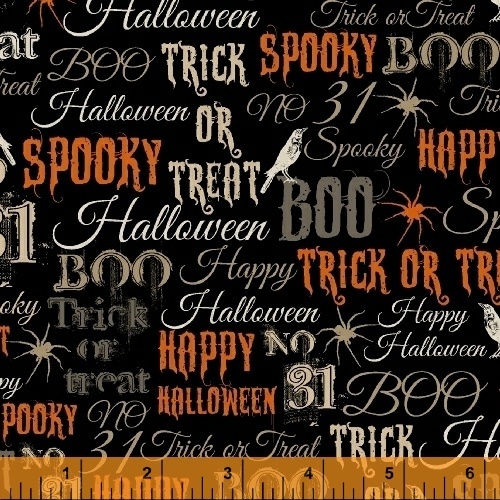 A crowd pleaser for all ages, this fabric is just what you need to get your home Halloween ready. Who needs tricks when this collection is such a treat? 7 SKUs - Delivery to stores May 2016.